When choosing between using a spring wound timer vs. a line voltage thermostat as a means to control an attic fan, the line voltage thermostat is your best choice. This article reviews the reasons for selecting a line voltage thermostat as a control. A spring wound timer is just a simple switch. A line voltage thermostat gives automatic control and is a better choice than a spring wound timer for controlling an attic fan. Q: I am installing an attic fan. 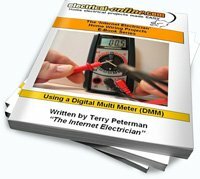 I have a hi-low speed switch and I would like to put a spring timer in. Can you please tell me how and where I should put that? A: A spring wound timer is only a simple switch, and will stay in the ‘on’ position for a predetermined amount of time, that you select when you operate the switch. Therefore, your only choice is to put the switch in line with the power to the attic fan. You will have to set the fan to operate in the high or the low position when the timer is turned on. A better device to use in conjunction with an attic fan would be a line voltage thermostat. The purpose of an attic fan is to evacuate the hot air that is in your attic space, reducing the affect of this heat on the temperature inside the home, and the load on air-conditioning systems. 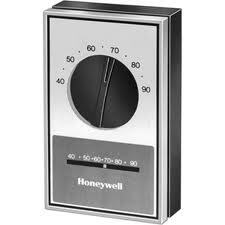 A ‘cooling’ thermostat is what you need. You set the temperature that you want the fan to activate at, and when that temperature is reached, or exceeded, the fan will start, and won’t shut off until the temperature cools back down to the preset value. This gives you automatic control, and eliminates the need to keep re-setting the spring wound timer. This entry was posted in Home Electrical How-To, Q & A and tagged attic fan, device, line voltage thermostat, spring wound timer, switch, thermostat, timer, using a line voltage thermostat, using a spring wound timer. Bookmark the permalink.